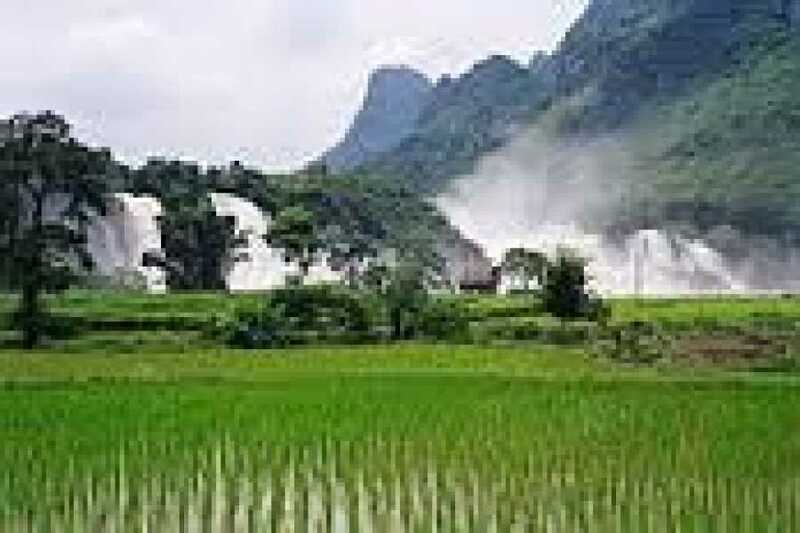 change for another Bus , ( 2hour) to Trung Khanh , Along the way you will stop to visit a Tay minority community, the second largest ethnic group in Vietnam after the Viets, mostly living off the cultivation of rice. 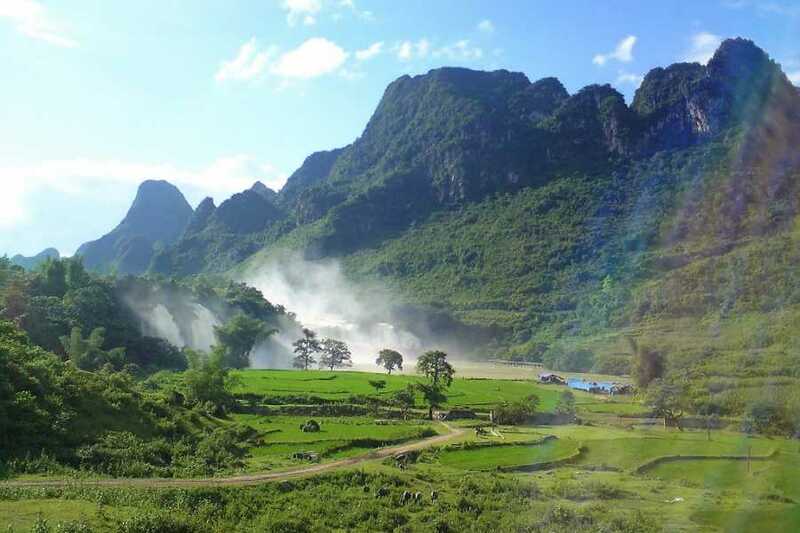 You will continue to Nguom Ngao Cave . 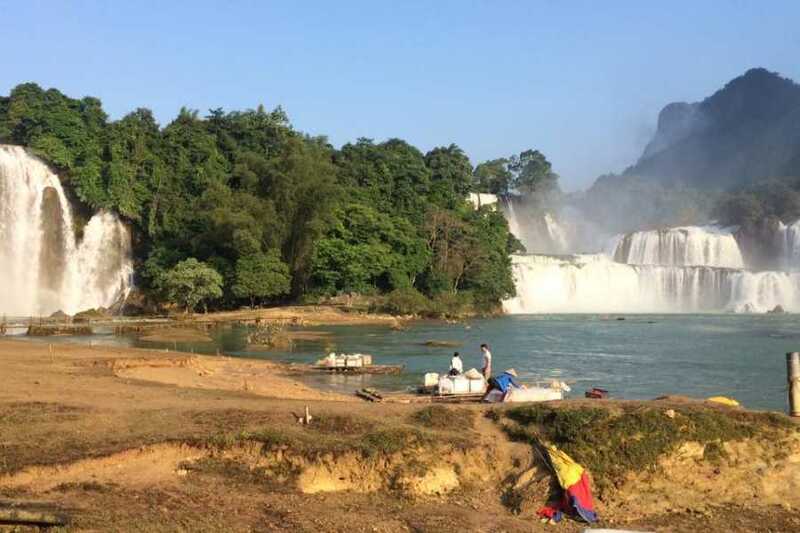 15h00 : Meeting your tours guide . 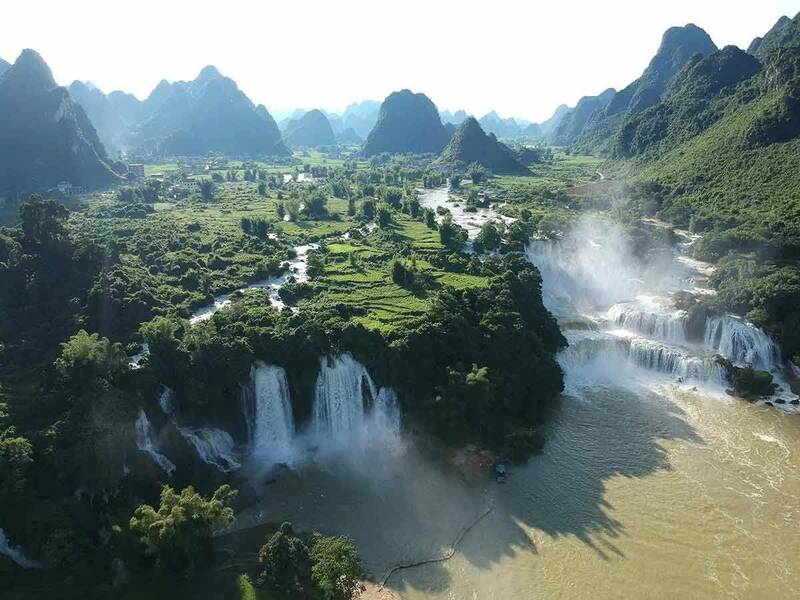 There will be time enjoy the view and soak up sublime atmosphere of Vietnam’s most beautiful waterfall before making your way to the Nguom Ngao “Tiger Cave” known for its wonderful limestone formations. 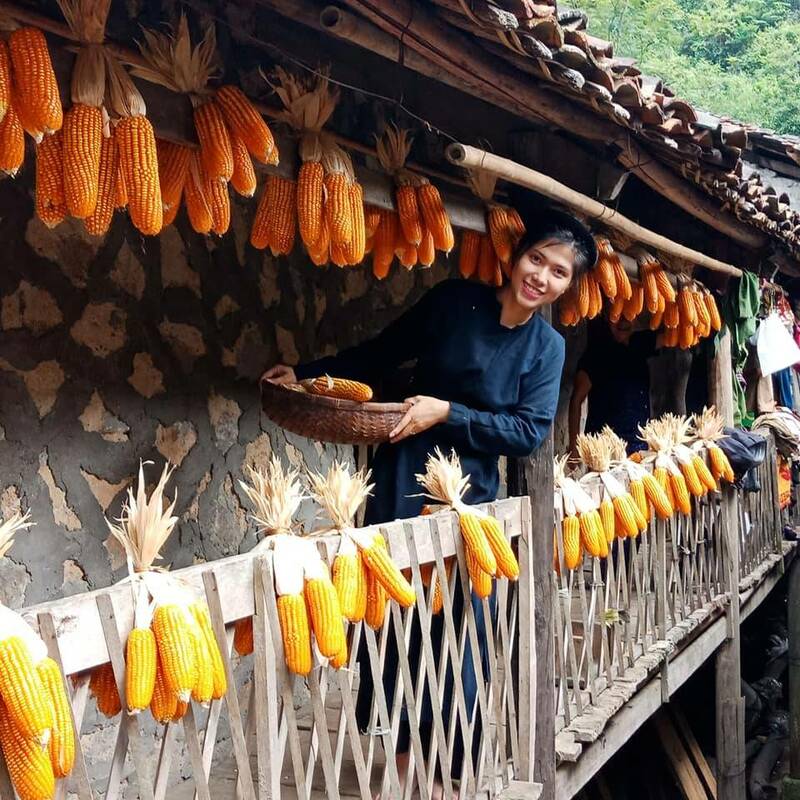 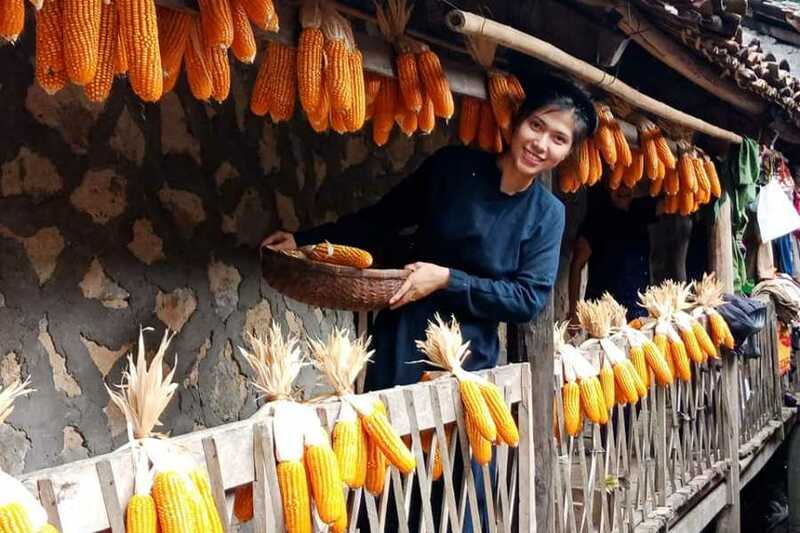 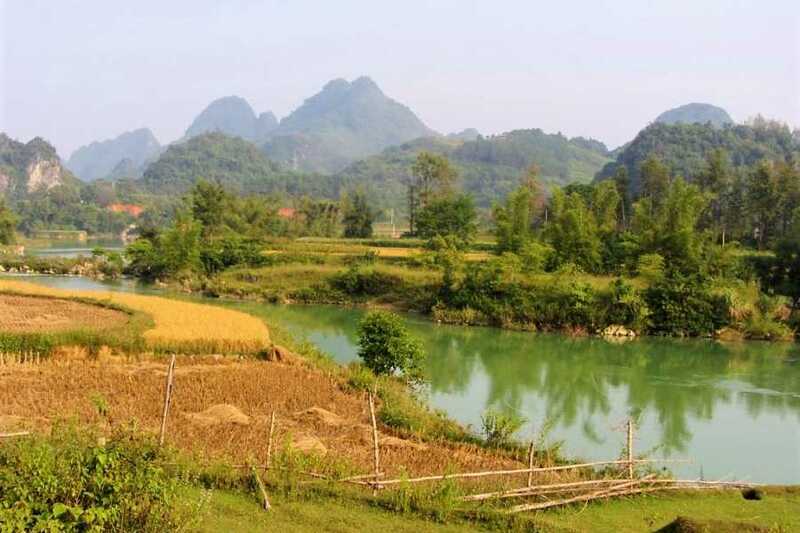 You will then make your way to Khuoi Ky village where you will spend the night in May Linh's homestay. 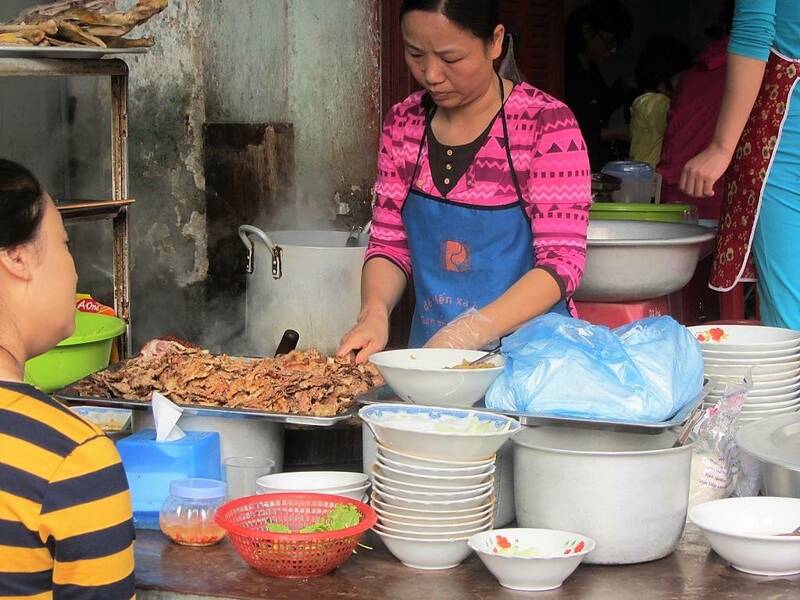 At the homestay you can relax and unwind from the day and enjoy a meal of home cooked local food. 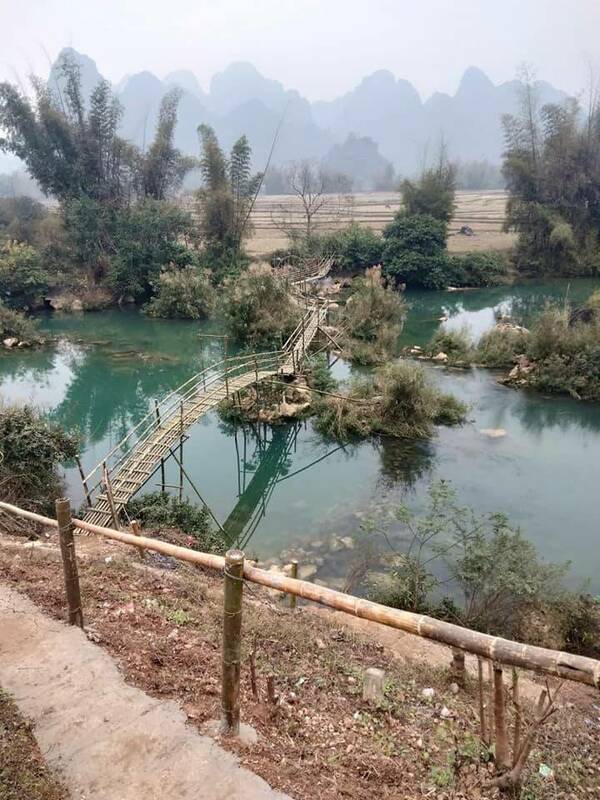 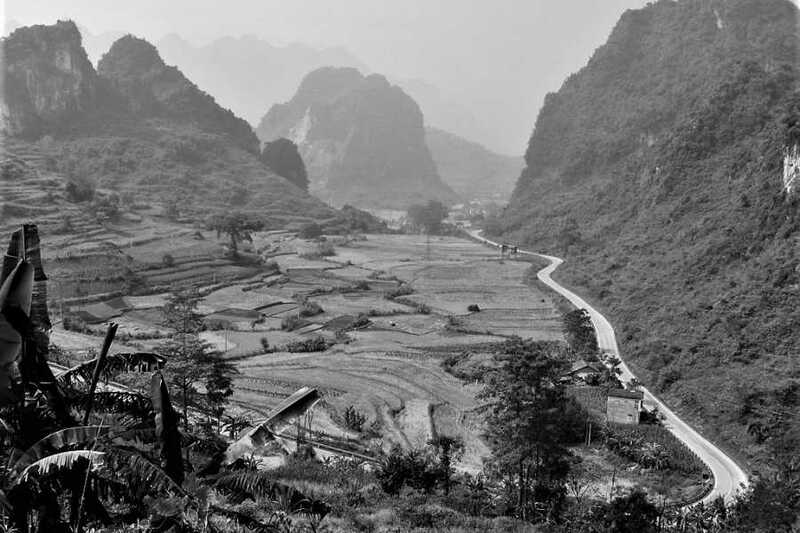 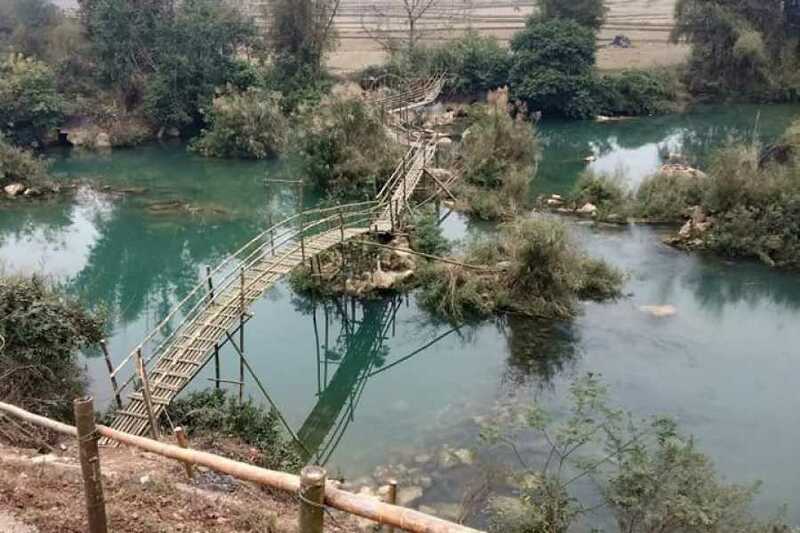 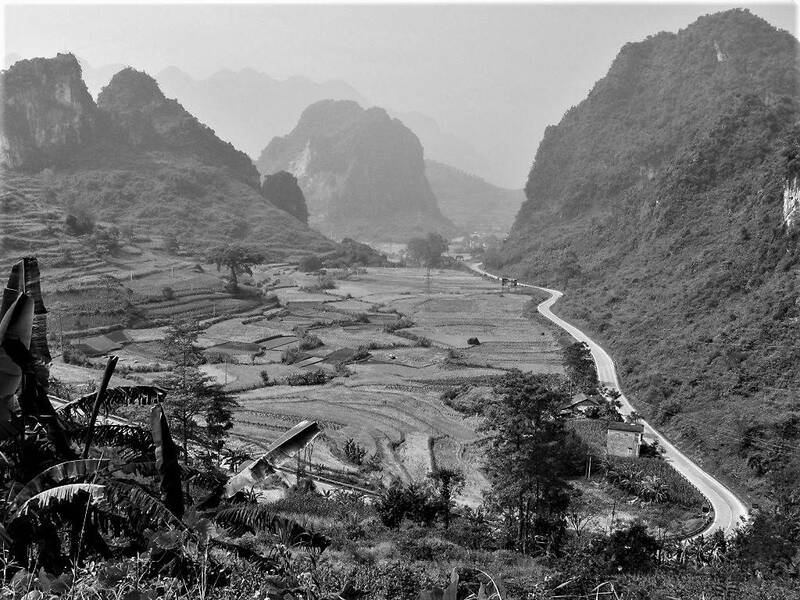 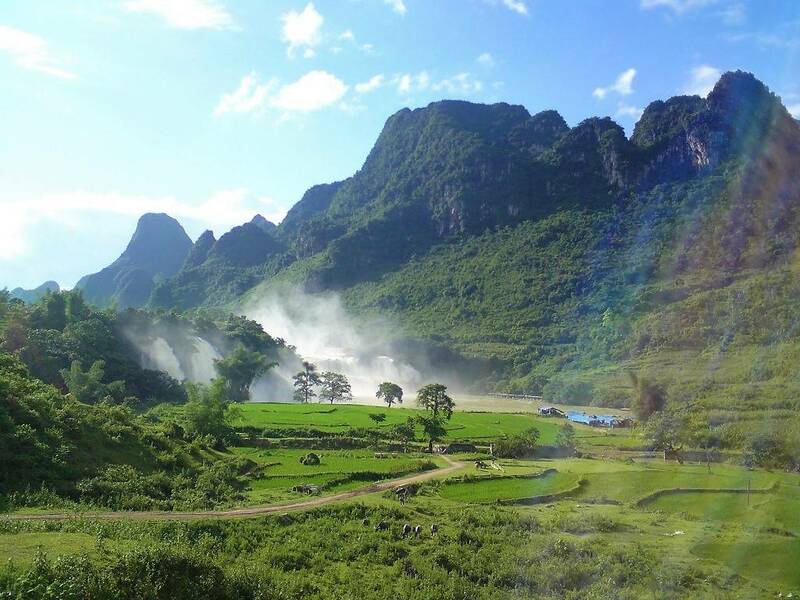 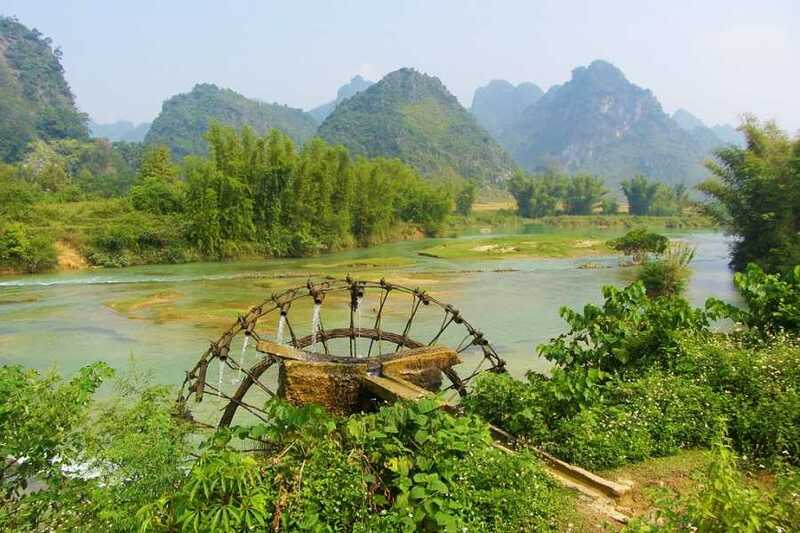 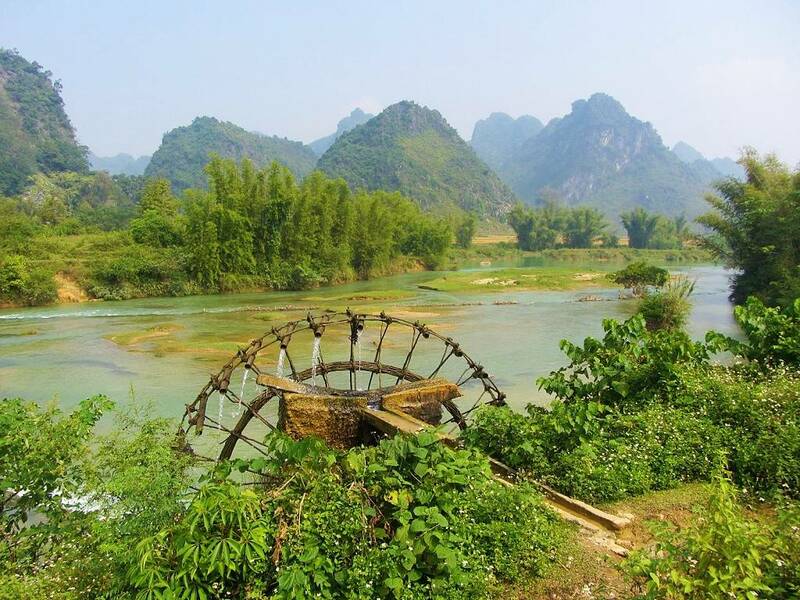 Free time - walking around village , after lunch , You will depart for Hanoi with stip in Cao Bang .This is the road less traveled in Vietnam, offering the chance to enjoy some peace and tranquility.. 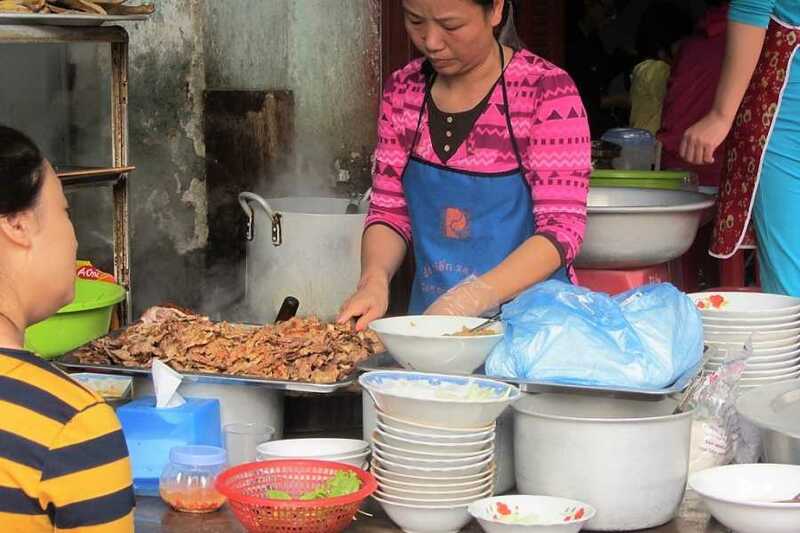 There will be a stop before returning to your hotel in the bustling city of Hanoi. 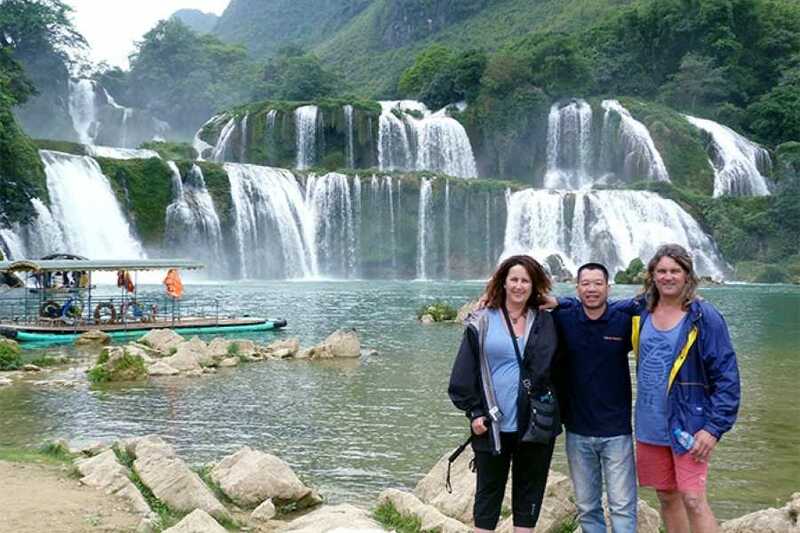 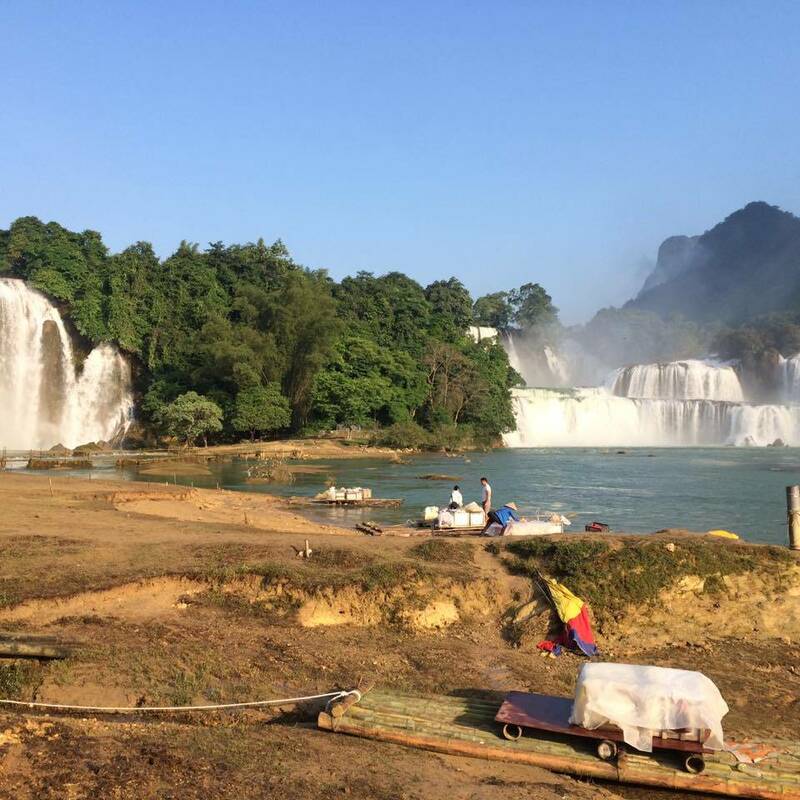 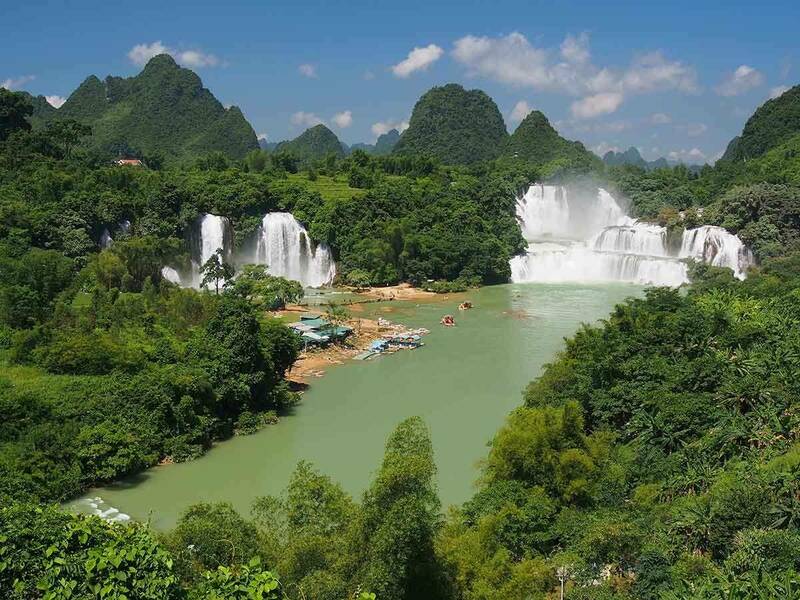 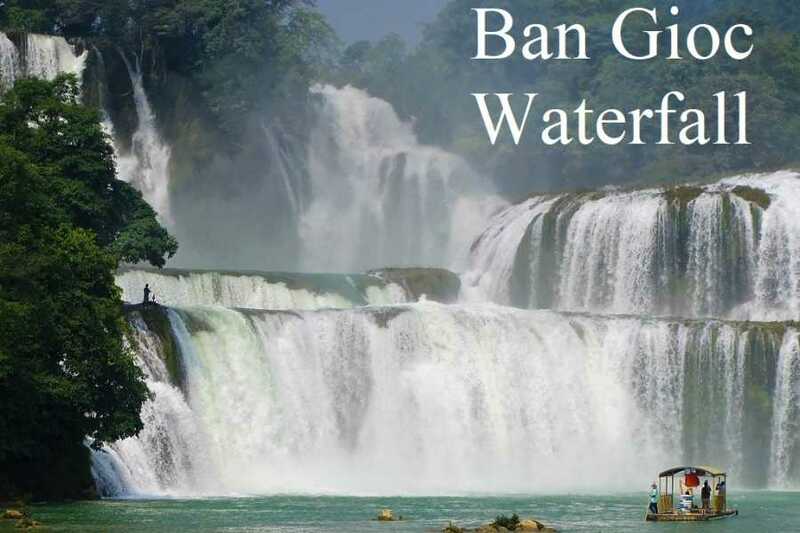 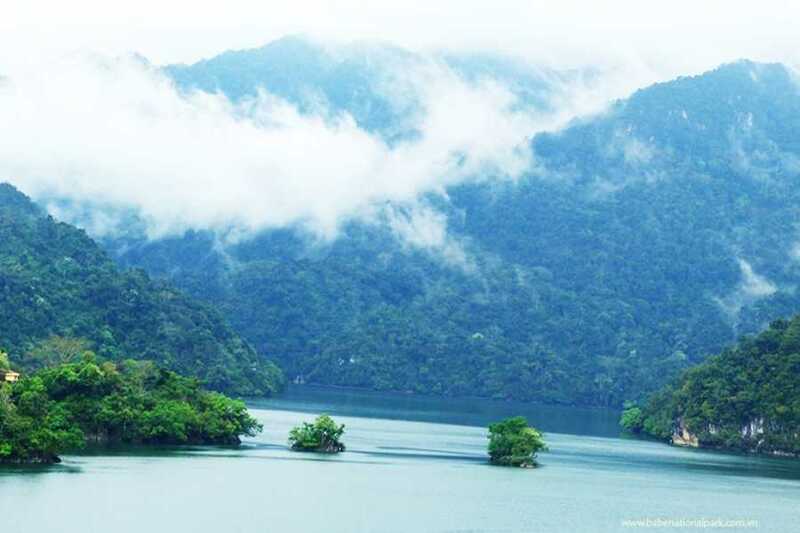 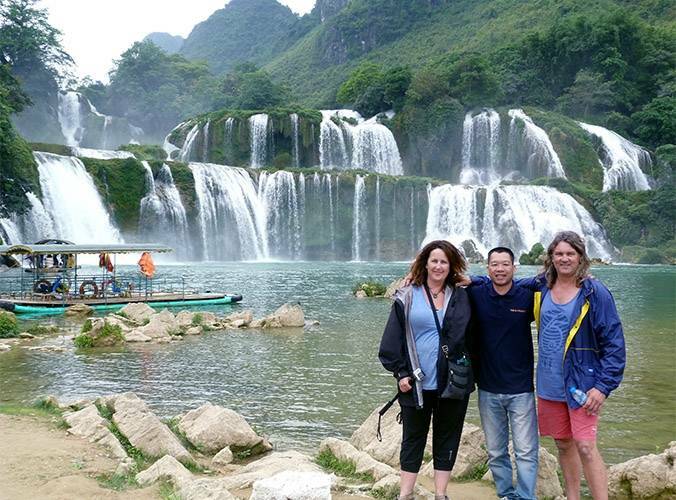 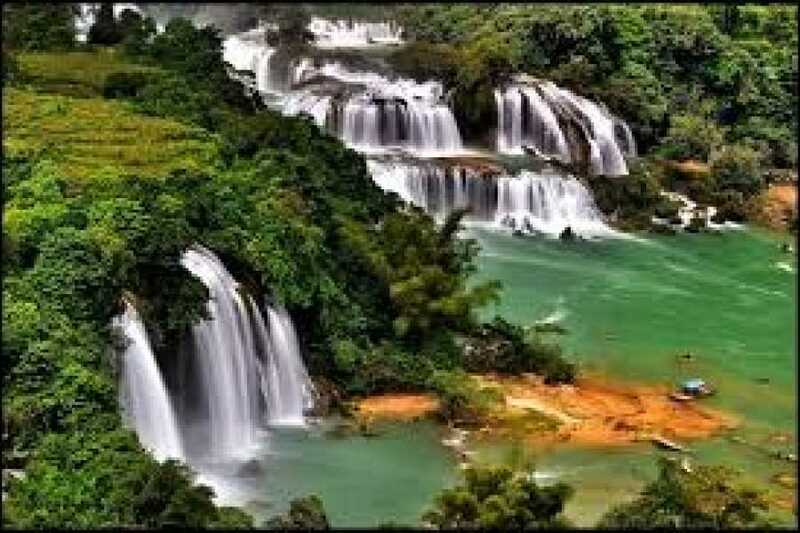 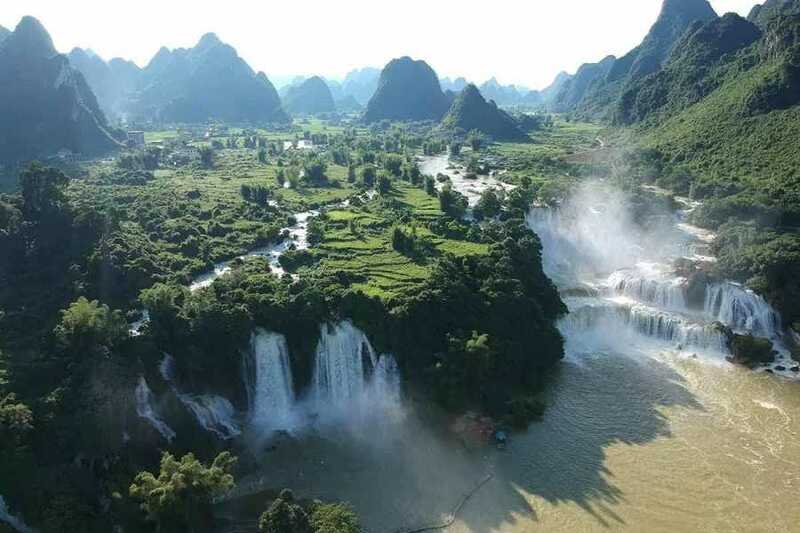 This exclusive tour takes visitors from the venerable city of Hanoi, complete with stately French colonial buildings and a bustling old Vietnamese quarter, to the natural wonderland that is the Ban Gioc waterfalls, the world’s 4th largest border waterfall after Niagara, Iguacu and Victoria. 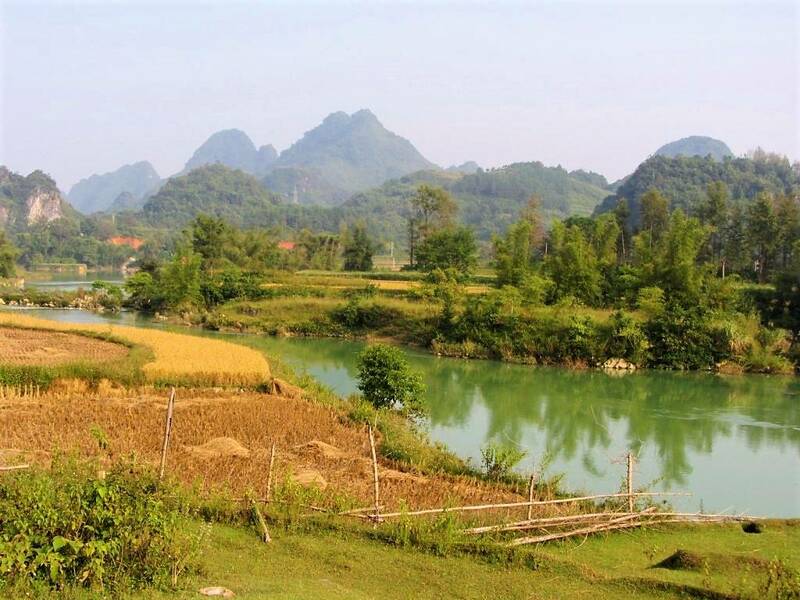 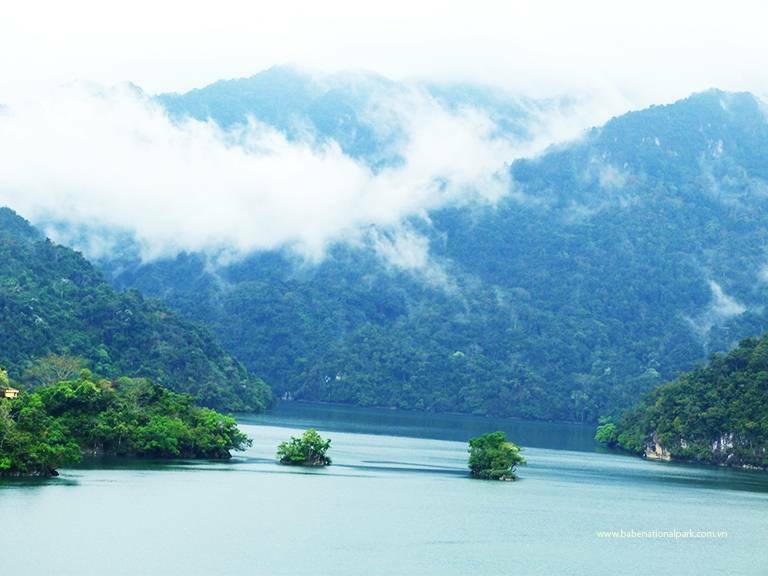 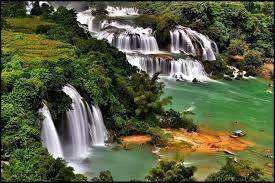 You will also be able interact with the ethnic Tay minority in small villages and explore the Quay Son River by kayak.